Almost all couples want their wedding to be unique, out of ordinary, far from tradition and most of all, personalized. One of the themes that can make your wedding modern and extraordinary is the rainbow theme. The rainbow brings a positive energy towards the people. The 7 different colors of the rainbow represent different meanings and symbols about life. Some believe that these meanings and symbols can be dedicated to your wedding. 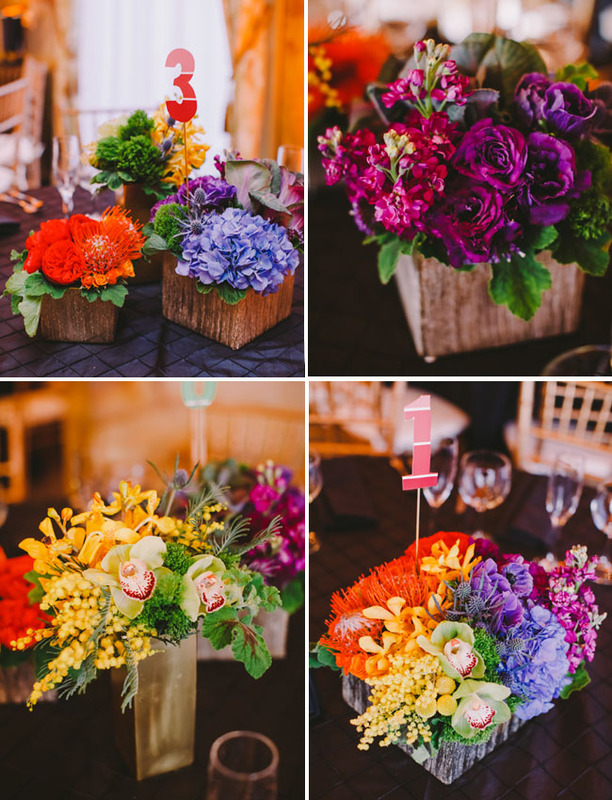 But for some, its vibrant colors are already enough to make the wedding special and upbeat. Choosing for a rainbow-themed wedding is not very difficult and can really be fun to prepare. 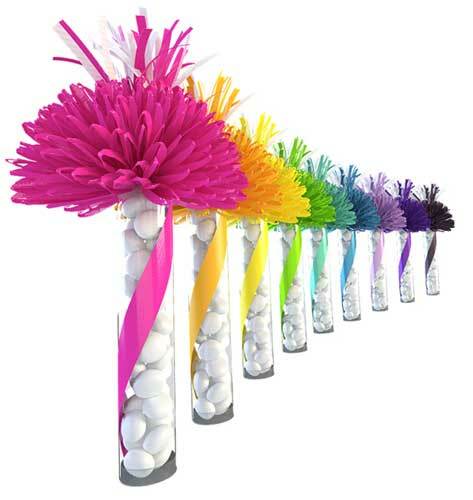 The rainbow colors can be applied in wedding favors, bridal shower favors invitations, flower bouquets, bride's maids' dresses and shoes, foods, accessories and decorations. The couples can be very creative in their wedding favors or bridal shower favors. 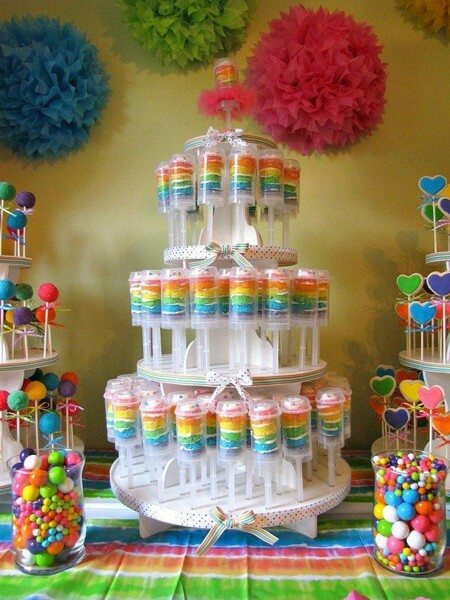 Whether they choose for DIY or not, they can always incorporate the rainbow theme. Most stores offer personalized wedding favors wherein couples can customize the color, design, or the message of their wedding favors. So all they have to do is to make sure that they choose 7 different colors for their personalized wedding favors or bridal shower favors to stick to their rainbow theme. Each bride's maid can wear one of the rainbow colors but all of them should have one color of shoes only. Their flower bouquets can also match the color of their dress or all of them can use a single color only. Their makeup, hair, and accessories can also have the rainbow theme. The bride, however, can either wear a dress in 7 rainbow colors or she can stick to the traditional white/ivory wedding dress. 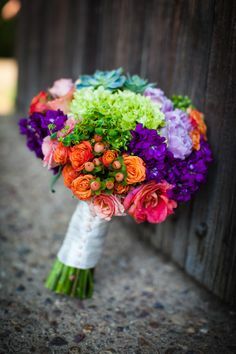 Her bouquet can also be in 7 different colors. She can wear any color of shoes as long as they match with her gown. 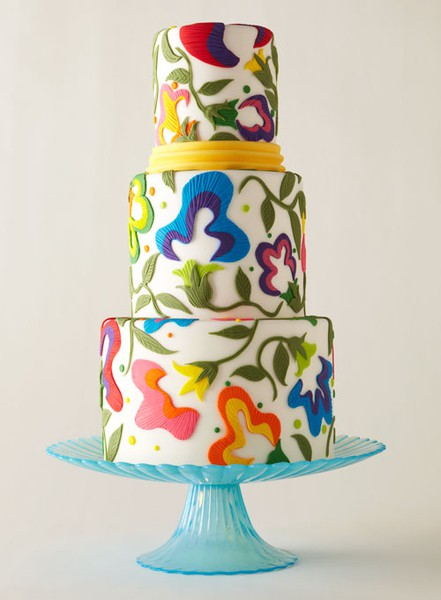 The wedding cake is another wedding essential that can have a rainbow color. A 7-layer cake can have different colors in each layer. 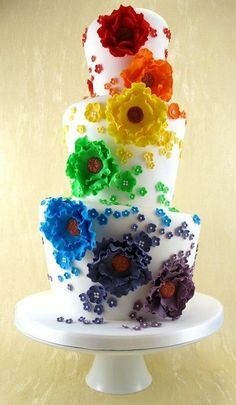 Though there are various ways on how to apply the colors of the rainbow in cakes. 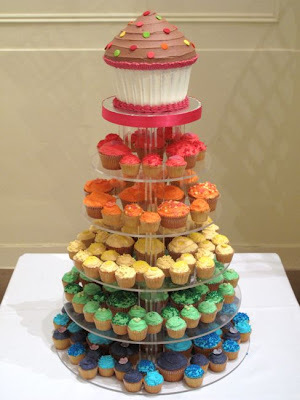 It may be hard to put a rainbow color in most menus but couples can put some rainbow-colored cupcakes and candies on the tables. They may also put it in a tray and make it a table centerpiece. 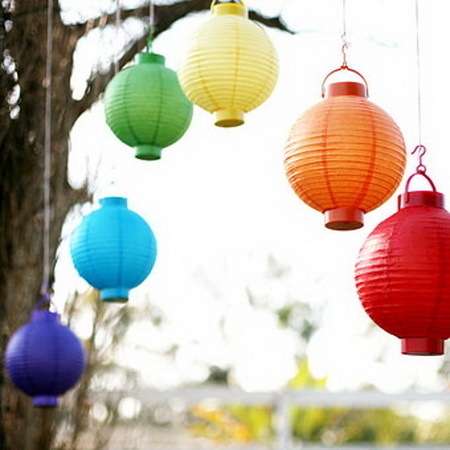 Other wedding essentials where couples can apply the rainbow theme are the groom's men socks, paper lanterns, decorations, table cloth, and a lot more. A rainbow-themed wedding can totally be fun, playful, and obviously colorful. Do not overdo the theme though to keep a balance. Otherwise, your wedding may look like a disaster. Just plan the color palette that you are going to use to keep uniformity in everything.